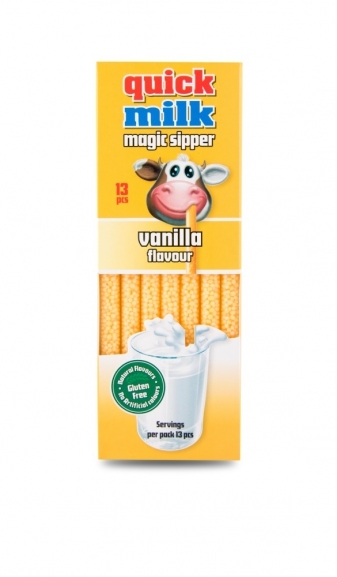 Milk flavouring, colour and flavour changing straw. 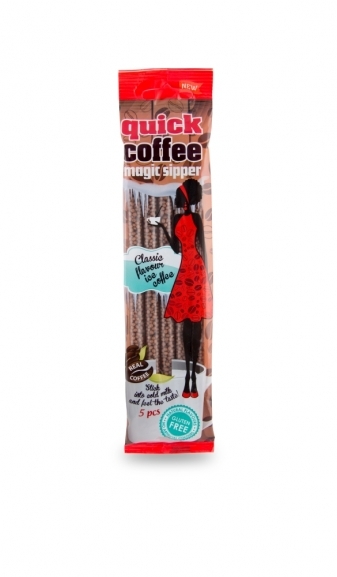 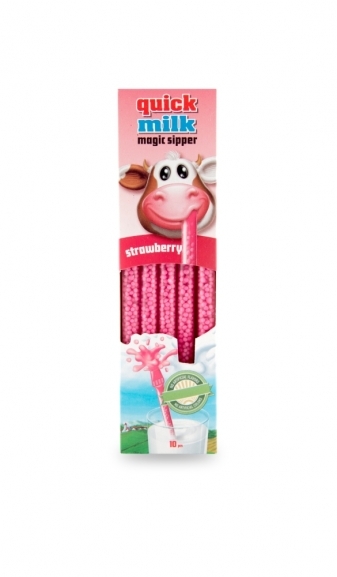 Place in 250ml milk to enjoy immediately the delicious flavours with these extraordinary straws. 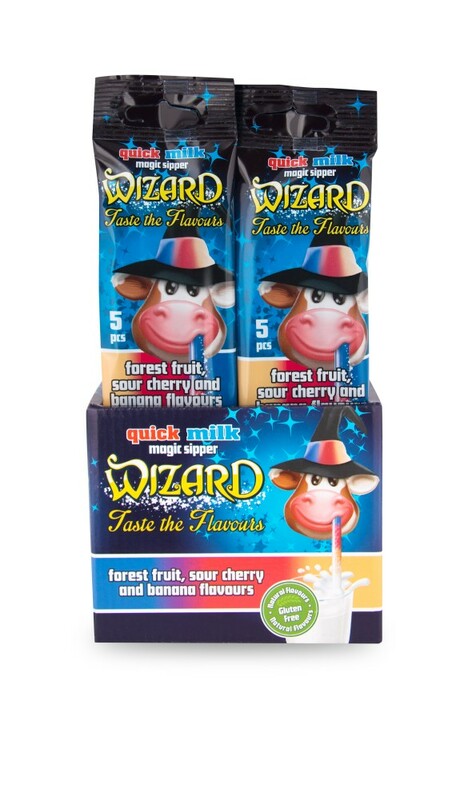 It contains only natural flavours. 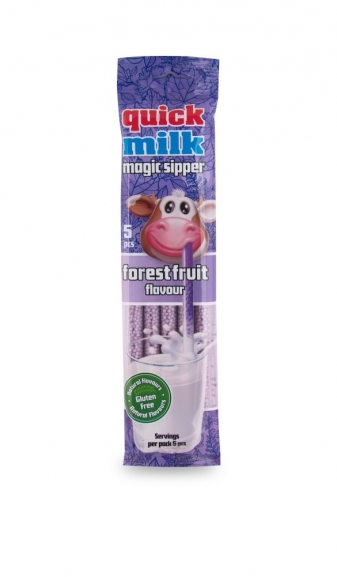 Gluten-free, suitable for lactose intolerants as well since it is just as tasty with coconut milk and soy milk. 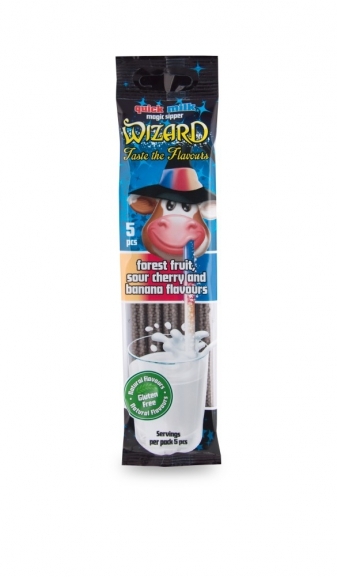 sugar, glucose syrup, flavours: forest fruit, sour cherry, banana, colours: E-100, E-120, E-133, E-153. IF YOU ARE A RESELLER AND NEED MORE INFORMATION ABOUT THIS PRODUCT, PLEASE LOG IN OR REGISTER YOUR COMPANY.